Icom Inc. has released more details about the launch of the IC-7610 HF/50MHz SDR Transceiver and its target price. Icom plans to release this high performance HF SDR transceiver around late May with the product being rolled out across the globe in the following months. We expect that the IC-7610 should be available in the UK early Summer with a suggested retail target price of £2,999.99 ex.VAT. Please note that this target price and UK availability may be subject to change. We expect demand to be huge for this product. Indeed many back orders are already on our system. So if you want to be one of the first customers in the UK to own one of these eagerly awaited radios, please contact your Icom Amateur radio dealer who will be able to put you in their order books. Following on from the technology incorporated into the IC-7300, the IC-7610 adopts the same RF direct sampling system for signal processing. By converting the analogue signal directly to a digital signal and processing it within the FPGA (Field Programmable Gate Array), it provides improved transmission phase noise and excellent RMDR of 105 dB (at 1 kHz detuning). The IC-7610 will have two independent receivers, enabling simultaneous reception of two frequencies in different bands/different modes. 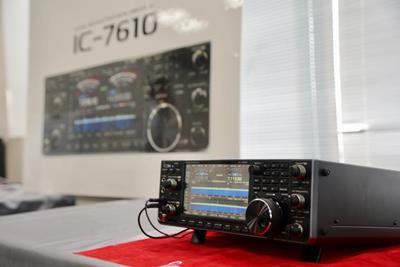 The IC-7610 will also feature high-speed, high-resolution performance. The real-time spectrum scope supports different bands and a dual display that can monitor different modes. It will also have a waterfall display function that displays received signals in time sequence. The DIGI-SEL unit will be available to both the main side and the sub side of the receiver. 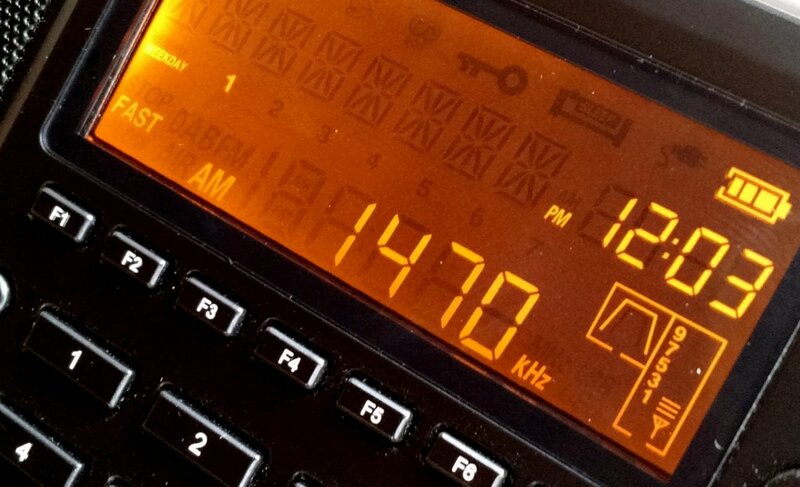 In addition, the IC-7610 adopts a large 7-inch full-colour touch screen panel. Click here to read this full post at Icom UK. 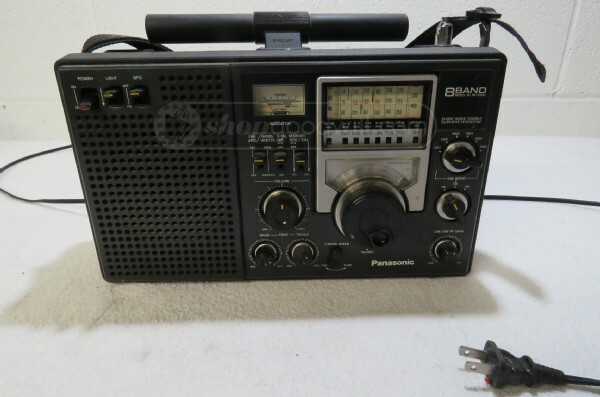 This entry was posted in Ham Radio, New Products, News, Radios, Shortwave Radio and tagged General Coverage Transceivers, IC-7610, Icom, Icom IC-7610, Icom UK, SDR on March 30, 2017 by Thomas. Now that is something I want to see happen! We love WBCQ! 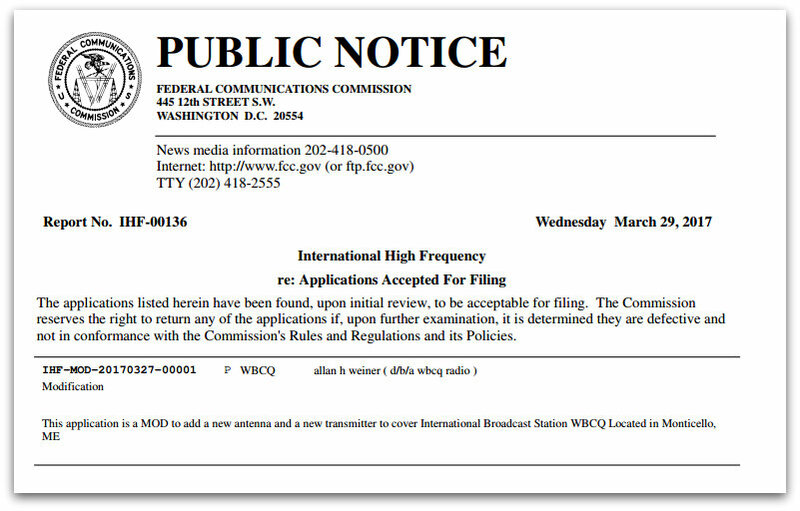 This entry was posted in Broadcasters, International Broadcasting, News, Shortwave Radio, What's On Shortwave and tagged Allan Weiner Worldwide, wbcq, WBCQ The Planet on March 29, 2017 by Thomas. We are proud to communicate the new schedule effective from 27 March 2017. Following the requests of many listeners, we introduce a new 30 minutes weekly broadcast in English, to Europe and the Americas; at the end of every English broadcast there will be 5 minutes of “IBC DIGITAL” in MFSK32. We wait for your reports and feedback to ibc@europe.com; you are also invited to visit our website www.ibcradio.webs.com to be constantly updated on our broadcast. This entry was posted in Broadcasters, News, Schedules and Frequencies, Shortwave Radio, What's On Shortwave and tagged A17, A17 Schedules, IBC, Italian Broadcasting Corporation, shortwave on March 29, 2017 by Thomas.